Working with their team is a pleasure. They are very knowledgeable in PPC best practices and put a lot of work into the campaigns the manage for their clients. They also invested a lot of time upfront to ensure that our analytics were tracking conversions correctly. In addition, there was almost zero dollars in wasted spend, which conversely did not drive a lot of traffic to the landing pages (the up, and the downside). I think Ad Hawk would be a great partner for companies that understand the need to drive inbound traffic / leads and are just delving into Google PPC, so they can assure their accounts are setup with best practices and thoughtful strategies. I think that AdHawk should probably charge more for their service. Although the onboarding process seemed very smooth, there should have been a little bit more of a focus initially on the Ad Copy / buyer personas / niche of software that we are focused on. Charging more may likely enable them to invest a little bit more time on delving into the mind of the end user to quickly pivot and get campaigns up to speed (personal opinion). If you are currently running campaigns with any measure of success, work with Ad Hawk in the beginning of onboarding to try to duplicate your current success so they can focus on optimization. We worked with AdHawk to outsource the overhead of managing Google Ad Campaigns as their fee, in combination with the software they provide is extremely reasonable. One of the most outstanding aspects of AdHawk is the ease of being able to handle different advertising campaigns at the same time, although some of them are display advertising and other social media advertising. It is very easy to control the statistics and to be able to make changes in the configuration of the campaigns. I would add in the future even more tools that allow to see more detailed statistics. I think it is the only error, which is missing by having even more complete statistics to make campaigns more effective. Marketing campaigns must be effective, for this it is always advisable to use tools that allow our objectives to be met. AdHawk works well, is simple and has some tools that help improve marketing campaigns. In our company this software has served to improve the efficiency of our campaigns. Mainly we have made Display Advertising and sometimes Social Media Advertising and both have increased our reach and achieved our proposed objectives. "Build your easy digital marketing strategy with adHawk"
I like and will continue to like its impeccable user interface, which is comfortable, easy to use and with a unique style and capable of containing excellent functions. The ROI tool is also powerful when starting campaigns, the search engine and the classification make it unique. Everything that the software allows is under our total agreement, that is, the results we are obtaining are obtained thanks to its powerful tools. Not to mention even the talent that AdHawk has, as they give us total confidence. Demonstrate how easy or difficult it can be to start a campaign. Also start tutorials to understand what returns the return on investment, since it must be confusing. The digital strategy has been easier since AdHawk is in charge, it is easy to implement and has the ideal costs. The objective was to resolve the conflict knowing exactly the results we obtained. With the tool a new window of knowledge was opened, and it was perfect, since it allowed us to adjust our campaigns due to the new results provided by AdHawk. Working with AdHawk has allowed us to increase our ROI on Facebook Ads and Google AdWords. They take some of the pain points away in creating, optimizing and reporting on ads. Our Account Manager is almost an extension of our office. They save us a ton of time and are always on top of optimization. Any time that I've had a question about performance they are already on top of it. As with any agency there may be a delay in response if you have to email or call them. This has not been an issue for at all. We are running Facebook Ads and Google AdWords with AdHawk. Working with them has allowed us to almost effortlessly run campaigns. All we have to do is set budget for them to run with, let them know our priorities and keep an eye on analytics. "Adhawk expertise made Adwords simple for me." I have really enjoyed working with my AdHawk rep Sebastian, who is a wizard with regards to in-depth fine tuning of Adwords campaigns and helps me understand his analysis in plain English, so that I can strategize and then get his help to implement this strategy. I do not have complaints regarding AdHawk. I am disappointed that my geographic area is so competitive that our CAC is very high through Adwords, but we are optimizing as much as possible. We are working hard to get CAC down (which is working) and also segmenting our leads so that we can appeal to the different types of people who are searching for our services. "3 month engagement to increase e-commerce sales"
They provided experience in setting up professional ad campaigns as well as using the settings and options to the fullest. We were hoping for a bit more in terms of campaign creative content creation. Weekly automated reports weren't very helpful -- especially without account rep going over it. Didn't find the dashboard tool very helpful. Our Account Rep was nice and good, but also I was hoping to see a bit more structure to the meetings, changes suggested & made, providing meeting notes, etc. They have a 3-5 turn-around time for campaign work, however even when our only discussed changes would have taken likely 10 minutes to make, they would wait the full time period before making changes. It wasn't obvious to me that our return on ad spend was actually coming from AdHawk's services. Trying to increase e-commerce sales. Our ad campaigns and definitely in a better place as far as audience, targeting, optimizations, etc. Again, still hard to tell the exact Return On Ad Spend from having AdHawk help us out. The simplicity of having the capacity to deal with various promoting efforts in the meantime, albeit some of them are show publicizing and other web based life promoting. It is exceptionally simple to control the measurements and to have the capacity to make changes in the arrangement of the battles. There are a few measurements that I wish were simpler to follow on their dashboard, however 99% of what I need to see is there. Promoting efforts must be viable, for this it is constantly fitting to utilize apparatuses that enable our destinations to be met. AdHawk functions admirably, is basic and has a few apparatuses that assistance improve showcasing efforts. Your organization works inseparably with AdHawk so the individual on your end should be proficient on Google AdWords and Facebook. Improve the efficiency of our campaigns. We are running Facebook Ads and Google AdWords with AdHawk. Working with them has enabled us to easily run battles. We should simply set spending plan for them to keep running with, let them know our needs and watch out for examination. I like being able to speak with an account manager that is able to describe and help strategize optimizations to our digital marketing campaigns. There are some metrics that I wish were easier to track on their dashboard, but 99% of what I want to see is there. The account managers are the best part of their services. Being able to speak with a friendly, positive, and knowledgeable manager helps wonders when trying to understand and optimized your digital campaign spending. We're gaining additional insight in our digital marketing trends on Facebook and Google Ads. Then we're continuing to optimize and track down areas of improvement in our creative assets, audience targeting and regional campaigns. Im the type of person who thinks they can do everything, but for only $500 a month they do an extremely well job of following an advertisement plan without being needed to be baby sat at all. Instead they give ideas, areas to improve and are generally pretty cool people to talk to. Been fairly good to me. Haven't had any issues so far. As a business owner, it's difficult to stay on top of the ever-changing online advertising world. Adwords is a beast within itself, but AdHawk does all the heavy lifting for me. They are helpful, communicative and, better yet, drive results! The reports I receive are vast and detailed, but sometimes hard to follow. I would recommend having a dedicated account manager. Mine is excellent. My Google advertising has reached new heights. The quality of leads has helped my business grow. "Easier, more efficient service that saved time and money"
The hands on and thoughtfulness of the staff at AdHawk was extraordinary and first class. The loading of the site at sometimes took an extra few seconds but other than that, we didn't find anything to dislike about AdHawk and are very happy with our decision to switch them as our digital advertising and managed marketing service. Time can be very expensive for small businesses if that time is wasted learning new changes and updates of another service we once used prior to AdHawk. Now, just a simple phone call or a few clicks and the goal is reached in minutes rather than days or even weeks learning how to do just one simple task. It was really easy to get up and running with AdHawk. Within a few minutes we were getting improvement recommendations for our campaigns. It provides simple solutions that I can accept or decline, so I appreciate still having the autonomy for my campaign decisions. Makes my work super efficient. Easy to use and operate. I've found great use in the product since the early days and seeing it evolve from a pretty basic toolset into what it is today, 3 years later, is incredible. I learned through AdHawk, all of the places I could spend less and get better results, in the end saving me thousands of dollars a year. Great optimizations suggestions. When doing this manually it can be inefficient and burdensome. Great product. Document management and time tracking becomes hard. Sometimes I want to get more recommendations for my top priority campaigns. The team mentioned that this is something they're working on. Overall I still get plenty of suggestions, so it's not pressing, but good to know they have this in mind. Nothing that isn't to be expected from using new software as it evolves and has some minor growing pains. It was really easy to get up and running with AdHawk. Within a few minutes, we were getting improvement recommendations for our campaigns. It provides simple solutions that I can accept or decline, so I appreciate still having the autonomy for my campaign decisions.uick and efficient account optimization. 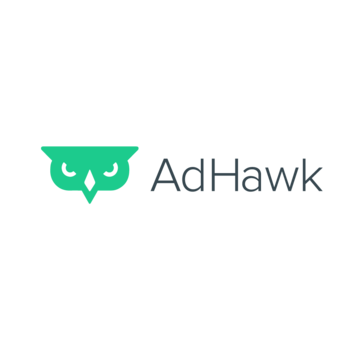 AdHawk saves me hours every week that I used to spend optimizing my adwords campaigns manually. It suggests really useful insights too. Would recommend to any digital advertiser, big or small! Great optimizations suggestions. When doing this manually it can be inefficient and burdensome. Great product. I think Zan gives us a good perspective of what works and what isn't performing. She's been very positive, and always asks for our input. Basically asking good questions. Not necessarily a dislike, but as a manager for a driving school, I have very little knowledge of how google advertising really works. The owner and I recently (with your help) have started to understand things better. It's important to recognize we are "new-comers" and maybe teaching us (in a sense) will help, as well as explaining things. We have been in business for over 60 years. But we don't want to rely on clients "knowing us" or word of mouth. The brand is very important, but the competition is greater than ever. NY state laws have made it easier to open a driving school, so we can't rest on our laurels, so to speak. The google ads you put out touch on different aspects of our business - and seem to be working. "Focusing the Unfocused, Clearing the Confusion around Digital Ad Strategy"
The seamless and easy to use interface and the top-notch, excellent customer service available in real time have truly set my experience apart. Not to mention the powerful results that qualifies our ROI and provides valuable clarity surronding search and social targeting. I also love the ability to develop insights and identify our ideal consumer. Not only does this software allow us to see our wins, it enables us to better predict our misses and see what about our message hasn't resonated with target markets. The AdHawk team is very talented, backed by the brainpower of two ex-Googlers. Their team helped us cover all the lost ground we were missing by not having the manpower to properly execute our ideal digital advertising strategy. I would love an interactive tutorial so to better educate the rest of my team. Consider trying AdHawk - it was worth the investment! Implementing machine learning to my paid digital strategy has given our presences an edge over competitors at an extremely reduced cost when compared to taking the implementation process in house. We were looking to resolve the murkiness surrounding our conversion rates and ensure we were making the most of our digital advertising dollars despite having little in-house technical knowledge. AdHawk helped us answer our questions with tangible data and actionable insights. "Great team! Online advertising made easy. " For a flat fee we get an account manager that is really on top of our adwords and facebook campaigns. It would be great if they could manage other advertising platforms as well (Linkedin, Amazon..). I would recommend using their assited package (not only the app but take advantage of their account specialists). They take care of our online advertising. "Solid digital ad managers "
AdHawk provides reliable multi-platform ad management with a focus on growth and success of each campaign. Each campaign needs a comprehensive review prior to launch to ensure details, links, run dates and times, etc. are all correct. Creation and distribution of ad campaigns, including testing various creative content, across multiple platforms to expand brand awareness and sell event tickets. "Nice product and app, but leaves a lot to be desired"
In my opinion, none of the recommendations seemed to move the needle too much over the course of 3-6 months. Also, support was very sub par. Evaluate your real pros and cons. Demand a free trial to see if it meets your needs. Don't get wowed by a good sales pitch. It helped us atleast maintain minor level of management over accounts. It also helped us understand what type of changes could be made within accounts. The 1:1 and consistent support we receive from our AdHawk team on a variety of topics. I don't have much to dislike, the degree of service has been great. Communication with the team is fast and efficient, they really do great work, actually improving the results each month. No phone number to call the representative. Better results for clients, more information and better advice to my clients. Reporting could be more sophisticated. While the results are strong the reports could use more polish. User experience is top notch! This software was easy to learn. not much. Software had a simple interface - good for anyone! * We monitor all AdHawk reviews to prevent fraudulent reviews and keep review quality high. We do not post reviews by company employees or direct competitors. Validated reviews require the user to submit a screenshot of the product containing their user ID, in order to verify a user is an actual user of the product. Hi there! Are you looking to implement a solution like AdHawk?